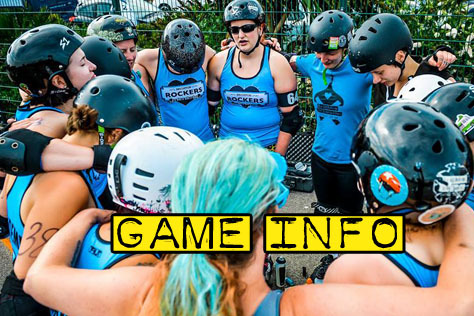 Click on the cover image above to check out the latest issue of our Brighton Rockers fanzine. 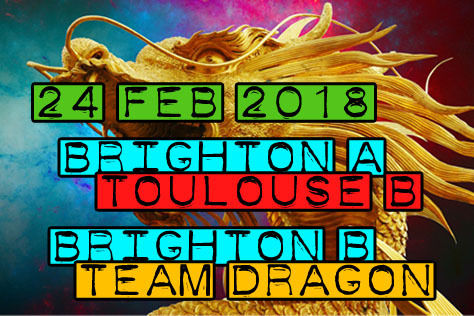 This issue came out on the 5th May 2018 for Brighton’s A/B-team double header against Lutèce Destroyeuses (Roller Derby Paris). This one’s an Officials Special focusing on referees and NSOs. There’s also a farewell interview with the departing Racey, a welcome interview with recent-ish arrival Cold Crush, and much more. If you’re after a physical copy there are a handful in the Evening Star and (from Sunday evening) Bierhaus pubs. 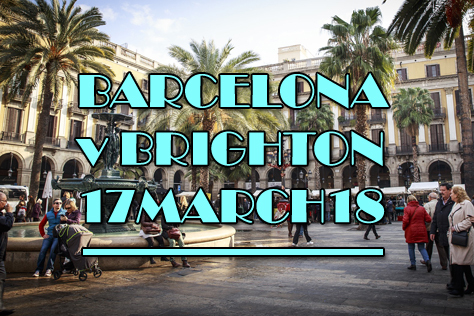 Many thanks to all our awesomes interviewees, fab photographers and ace advertisers including Meadow Yurts, Pure Nuff Stuff, JW Lennons and more. Yay! 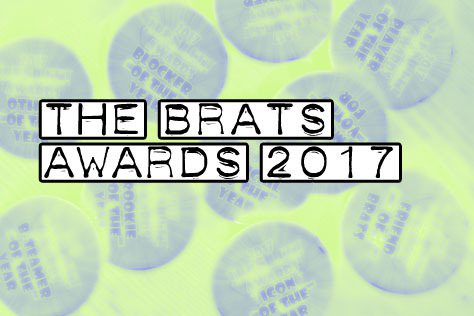 Some WINNING Happened… Here’s Who YOU Voted For In THE 2017 BRATS AWARDS! This category covers everyone who isn’t a player, referee or NSO. Ten different names put forward for this one, with an actual baby finishing in third place – well done Kit N Run Junior! Photographer John Hesse has to settle for second, whilst bench coach Mistress (who missed out by just half a point last year) takes the gold. 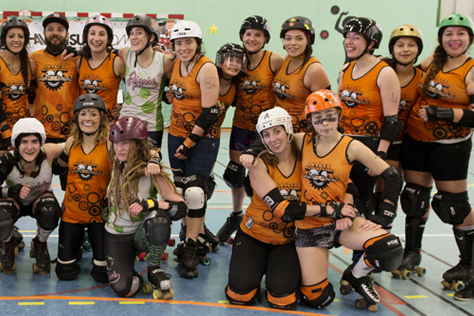 This category tends to be dominated by refs rather than NSOs, though Hissing Hellcat finished joint second this year alongside two-time winner LaserHammer. The victor was never really in doubt though as “ref with the short shorts” Dahmer bagged twice the number of votes of everyone else combined! This award for “the most inspiring Brighton Rocker on or off track” saw the most names put forward in any category. A dozen people were in the running and it ended in a photo finish between Farmergeddon and last year’s winner Finn McCruel, with the former just nudging ahead. 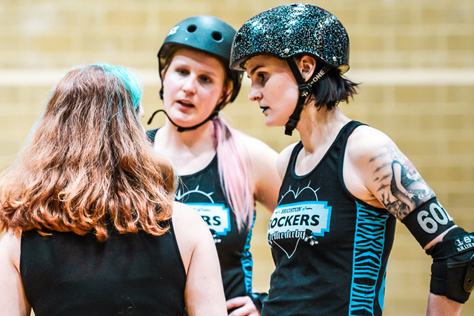 Five skaters made their Rockers debuts in the game our ballot box was out at. These all picked up multiple votes, as did a trio of others. Kit N Run finishes a strong second, but Raging Beaver (with more than 40% of the vote) grabs the gold. 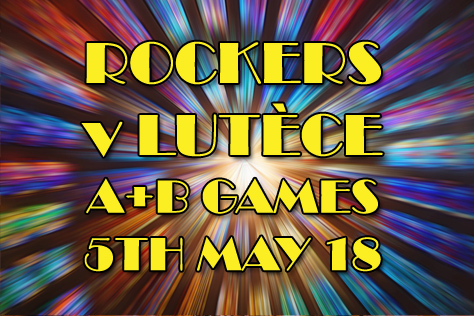 Ten different skaters picked up votes in this category, but it ended up as a two-horse race, with the Rockerbillies captain Slap Dash edging out Yorkshire Brewser by a single vote. Hairy Fairy’s hopes of making it three years in a row falter as she has to settle for third place here, just behind Cake Or Death. Finn took almost 50% of the vote to smash this one. 2014 Player Of The Year Whooligan has to settle for the Jammer gong this time out. Others making strong showings in the voting include Shambolic, Farmergeddon, Hippy Hippy Skate and Chaka Carnage. 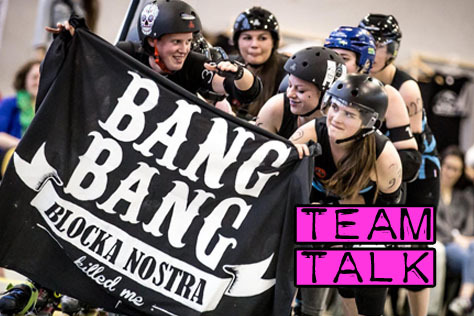 With two-time winner Gin last spotted in Australia (on the C-team of World Champions VRDL) the coast was clear for someone else to grab this year’s main award. Up hop, step and skipped Gin’s former housemate Shambolic, who edged ahead of a strong chasing pack (Finn McCruel, Cruelty Spree, Farmergeddon, Cake Or Death and others) to take the win. That rounds up the eight categories on the voting form, but a minimum badge order of ten means we add two extra awards as usual. The MOST VOTED FOR gong is for whoever picks up the most votes across all of the categories without actually winning any of them. After finishing third in this ‘don’t call it biggest loser’ contest last year, our WINNER – CAKE OR DEATH nudges ahead of Brewser, Kapow and Cruelty for the victory here. Finally we have our FRIEND OF BRATS award. I know we bang on about our fanzine advertisers a lot, but the mag wouldn’t be possible without them. An issue costs around £150 to get printed and the lovely ad folks cover the vast majority of that. Having taken out a full page ad in every issue since we started, our WINNER – MEADOW YURTS have paid more towards our print bill than anyone else. They’re totally ace and everyone reading this should go and buy a yurt off them right now… preferably two. That rounds up the 2017 BRATS Awards. If you won one, yay you! Please get in touch and let us know how we can get your super fancy (not fancy at all) winner’s badge and certificate to you. If you didn’t win one, rest assured you’re still pretty awesome and everyone says so (even if it’s only behind your back). Here’s to a derby-packed 2018 for one and all. Hurrah!